Del Church is a 45-year veteran of the floorcovering industry. 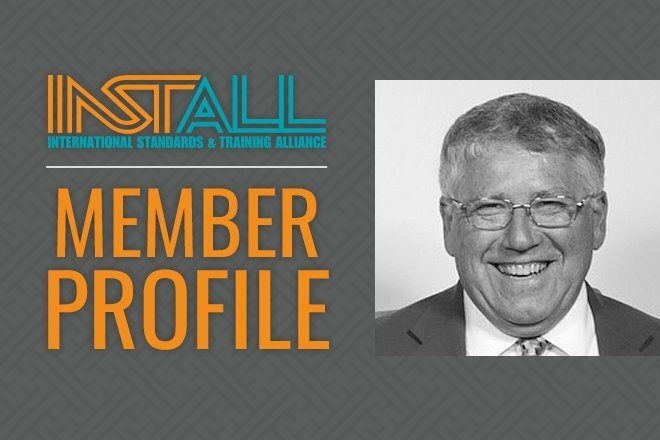 Over the past four decades he has seen incredible change and numerous product innovations, but one thing has remained constant in his world – a dedication to education, training and installation excellence. Church first entered the industry after finishing his military service in the early 1970s. He was drafted into the Vietnam War during his sophomore year of college, and began a part-time job in construction upon his return. A back injury quickly ended his early career in the trade, so Church started looking for jobs at a local retail store. While hardware was his first choice, the manager said there was only one job opening in the carpet department. Church jumped on the opportunity. “I thought I would stay at the store on a part-time basis for quite a while,” said Church. That wasn’t the case, as he soon took a job for a flooring company in Chicago. “I commuted into the city and sold residential and main street commercial products, eventually working with Armstrong and other top brands,” he explained. After finding success at Carpet Laying Service, Church was hired by Vortex Commercial Flooring in 1993. After seven years he partnered with several employees to buy out the company in 2000, continuing to focus on education and institutional projects. As president, Church has spent the last 18 years growing the Vortex brand and increasing its presence through industry organizations like Starnet and INSTALL. The company’s status as an INSTALL Warranty Contractor shows Church’s dedication to education, training and installation excellence. Vortex and Church were also recently awarded the INSTALL Warranty Pioneer Award. “Through my relationship with the Professional Flooring Installers Association, INSTALL and the UBC, I have learned, grown and established important bonds with industry leaders,” said Church. “INSTALL and its industry-leading warranty on labor has also helped me better position Vortex. It’s not only part of my sales pitch, it’s an added layer of security, an outstanding benefit to our service, and an important safety net for our clients,” he added.